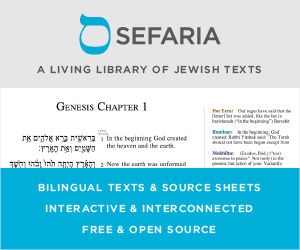 I am looking for a sefer which delineates the significance and meaning of many names in Torah, but more specifically the lists of names, found in Noach, Vayeira, Chayei Sarah, Vayishlach, Vayigash, etc. For example, the Torah tells us the names of Yishmael's twelve sons. What is the significance of the Torah telling us his sons? Why bother? Another example: the Torah tells us the names of Yokshan's and Midian's sons. What is the significance and why bother? Try the אוצר אישי התנ"ך, also available in English. It lists every person in Tanach, and what is known about them, gathered from "the seven seas of sefarim" (Talmud, Midrash, etc.). Not the answer you're looking for? Browse other questions tagged jewish-books names . When/where did the practice of “recycling” names begin? Why would people assume that “Afriki” is Africa? Which foreign names did Jews associate with Hebrew names, and why? The name Beila / Baila - any serious research?